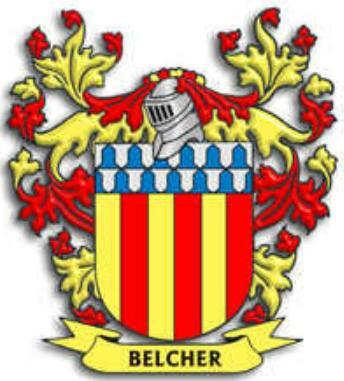 There have been several people ask about the Belcher Coat of Arms, so we will attempt to show you several variations and the differences in each that we are aware of. These below are the only ones that we have photo's of and know about. 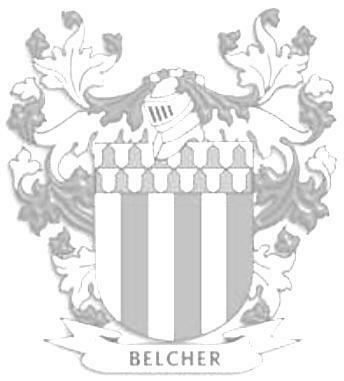 We will have privately drawn and copyrited prints of the Belcher Coat of Arms for our line available soon to purchase. We will let you know when it is available. IF you wish to copy or print these coat of arms: just right click on them with your mouse. a box will come up and click on save picture as, another box will come up from your computer, this is where you choose to save it on your computer. Then save it to your computer as a bmp. or jpg. file. Then you can print it or save it as you wish. If you have microsoft word on your computer. I find it easier to copy and paste a photo onto a page in a document then size it to the page or size you wish by drawing the corners out with your mouse, and then printing it from there. This way you can also type any kind of information you wish to have on it and the size on the page you print is exactly what you have on the document page. Photo's of all kinds seem to print to size easier and better from a document file. Chief a vair with paly of size or et gules, on the escutcheon. There are two Crests recorded one is a lions paw and the other is more commonly used. a Greyhound's head. (Erased) with a collar of gules red et or gold. Erased means only the head is shown. The chief a vair means that the top third of the escutcheon consists of two lines of bell shaped figures in blue and white or silver. the Paly means six vertical stripes with gold and red alternating. These are reported to be Norman Arms. and the one that is more aggressive is the Lions's Paw. It is said in 1136 the first Belcher fighting with the norman King Stephen, was befriended by him and was given land in Northamptonshire. and carried the Lion's Paw Arms. 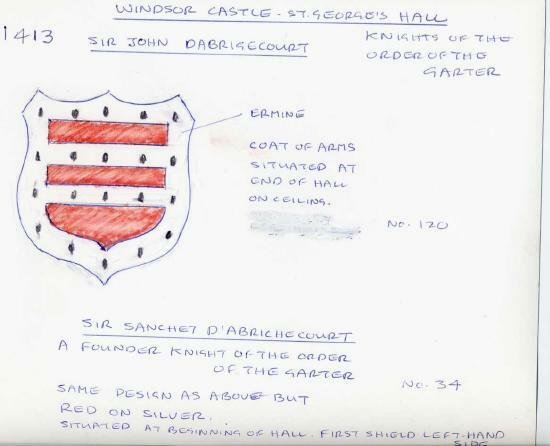 The Shield is: Gold and red with a bell shaped design at the top. The Crest is: A greyhound's head. 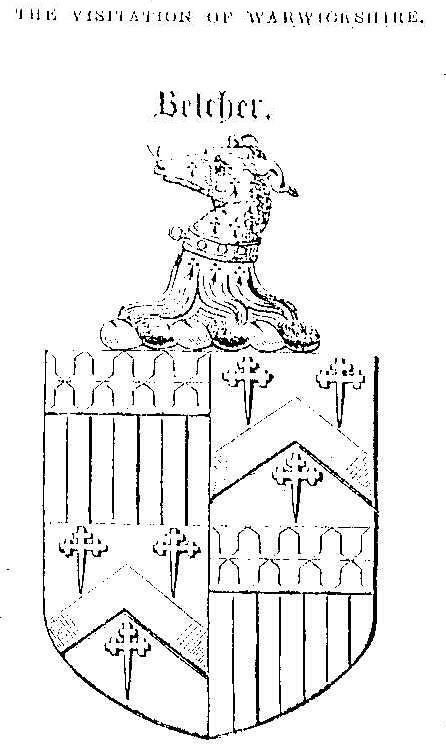 This next coat of Arms is of Edward Belcher in Ulcombe, Kent England. 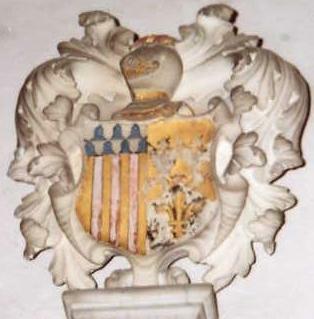 This is a copy of an actual plaque of the coat of arms that is in the church on display in Ulcombe Kent. It is very similar but the colorful one has been glamorized a bit by coat of arms and hearldic sellers and the one on Edwards Memorial Arms on the right half has a fleur de leis on it instead of the stripes for the Stringer side of his family. The plaque of the coat of arms has been worn quite a bit but you can still see it quite well.